Hi guys! So on 3/31/17, I wrote a post called “Personal Goals for the Next Year.” Now that it’s actually a couple months past 3/31/18, I can check how I fared on these. I actually really liked this exercise, so I’m going to make a new yearly goal list (prob will be the next post after this). So, here it goes! 2. 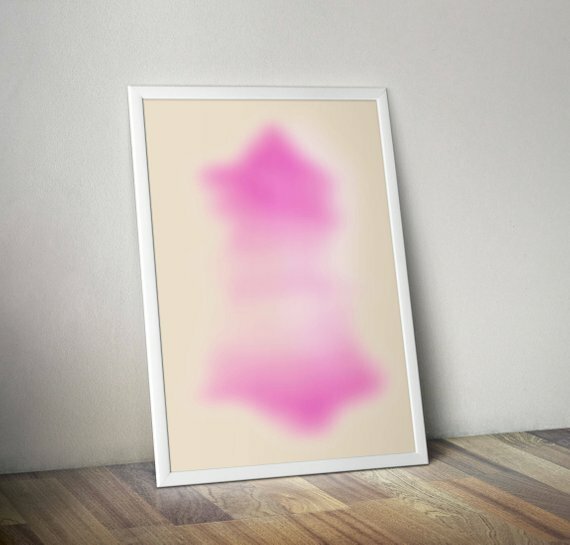 Submit NYC poster to contest – I did submit my poster to an MTA Arts & Design contest, but I never heard back. I didn’t pursue it further because shortly after submitting the poster, I realized that it actually wasn’t really a priority for me to have my poster in the subway (though it obviously would be cool). I’m more excited about selling my artwork myself and starting a business around it, so I’d rather spend my energy on that. 3. 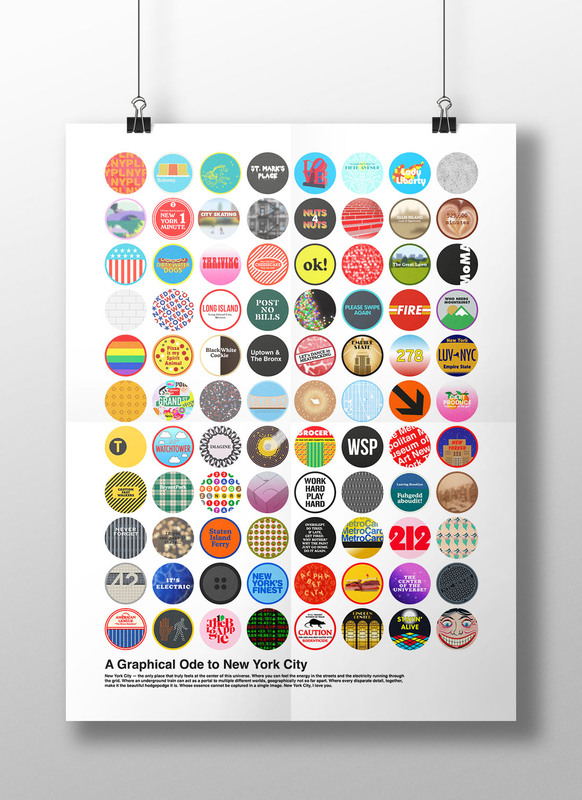 Fabricate NYC poster – Done! I got my NYC posters printed by O’Neil Printing in Phoenix, AZ. I also ended up designing and printing two other posters this year (see pics below). These other posters were printed by Palmetto Digital Trade Source in Greenville, SC. I also printed a number of smaller posters myself on my personal printer. 4. 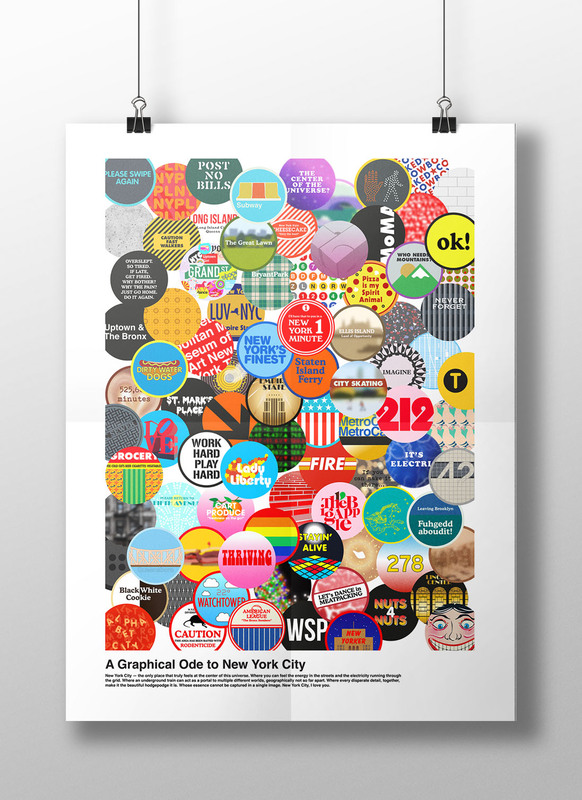 Sell NYC poster – My NYC posters (including the smaller posters and the two non-NYC posters) are currently up for sale on my Etsy. 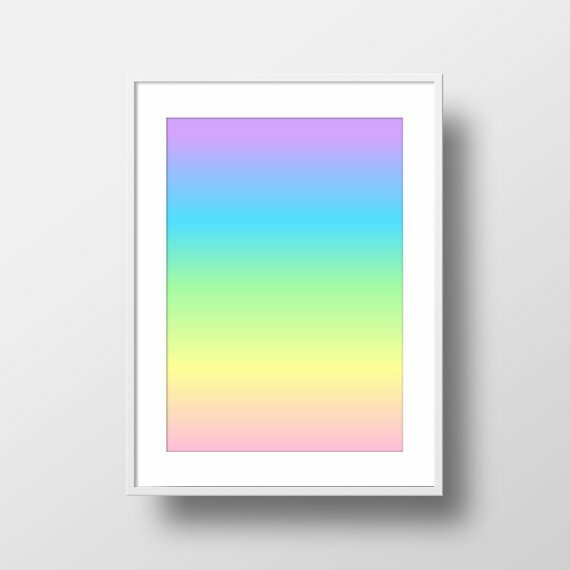 So far, I’ve made only 13 sales on my Etsy. Next weekend, I’m planning on setting up a table in Central Park and trying to sell my posters out in public (there are certain areas of the park where you can sell artwork without a permit). I’m excited about it, but have no idea what to expect. I’ll keep you posted! 5. Design and look into fabricating Fruits! notebooks – I actually did look into this. I even exchanged emails with a notebook fabricator in Taiwan and got quotes on everything. To put it simply, fabricating these notebooks would be a big investment for me. Moreover, I’d have to put in an order of 8,000 notebooks minimum for the factory to even consider producing them. I think I need to worry about selling my NYC posters first and then I can revisit this! 6. Make a band poster – This is more-or-less completed. 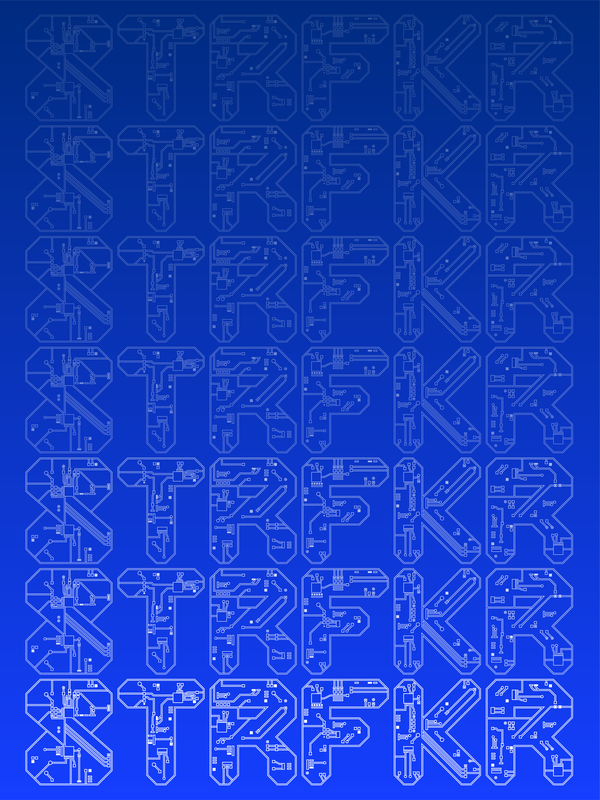 I designed the below poster for one of my favorite bands, STRFKR. I just need to do some touch-ups on this (this is not the final version) and then actually send it to the band. I can do a separate post on how that turns out. 7. Re-design and clean up my design website!! – I didn’t do this. But, kind of like Goal 2 (submit NYC poster to contest), I realized this goal wasn’t really a big priority for me as the year went on. While my site could use some cleanup, I think it’s serving its purposes for now, and it would be a better use of my time to focus on improving my Etsy for now. 8. Move to NYC (I’m commuting to work from NJ now) – Done! I moved into my apartment on the Upper East Side last July 1st and just re-signed my lease for another year. Woohoo! 9. 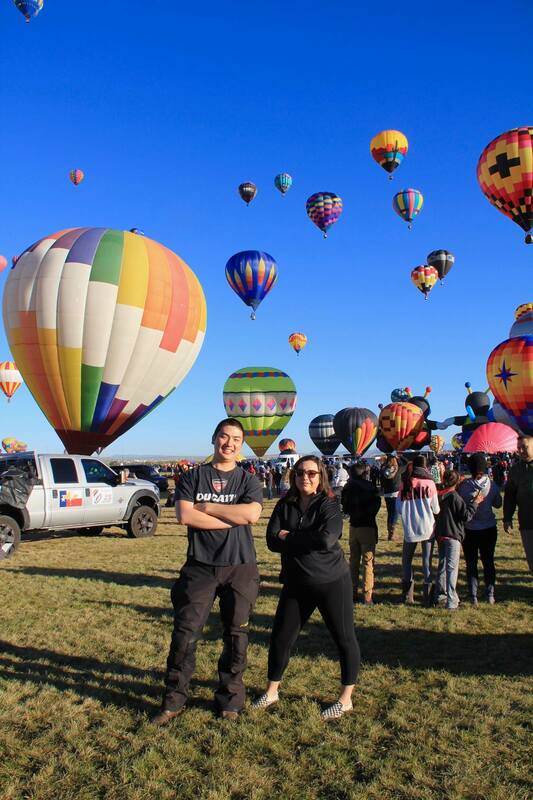 Go on a New Mexico roadtrip! – Done! My roommate Lauren and I went to New Mexico in October 2017. My boyfriend was actually doing a cross-country motorcycle trip at the same time and went out of his way to meet us there too! So much fun…I want to go back! 10. Start planning my trip to Thailand – This didn’t happen, but like a couple of my other goals on the list, this lost priority as the year went on. While Thailand is beautiful and I’d love to go one day, there are other parts of the world (and even other parts of the US) I think I want to explore first. 11. GROW LONG HAIR – I am (very) slowly but surely making progress on this. I definitely wouldn’t say my hair is long, but I think it officially transitioned from being “short” to “medium length” this year (which is a big deal for me since my hair grows so freaking slowly!). I also recently start taking better care of my hair, so ideally it will grow more in the next year than it has in this past one. Overall, I actually think I did pretty good on my goals this year! I’ll type up my next set of goals later this week. Man, it’s been so long since I posted on here! 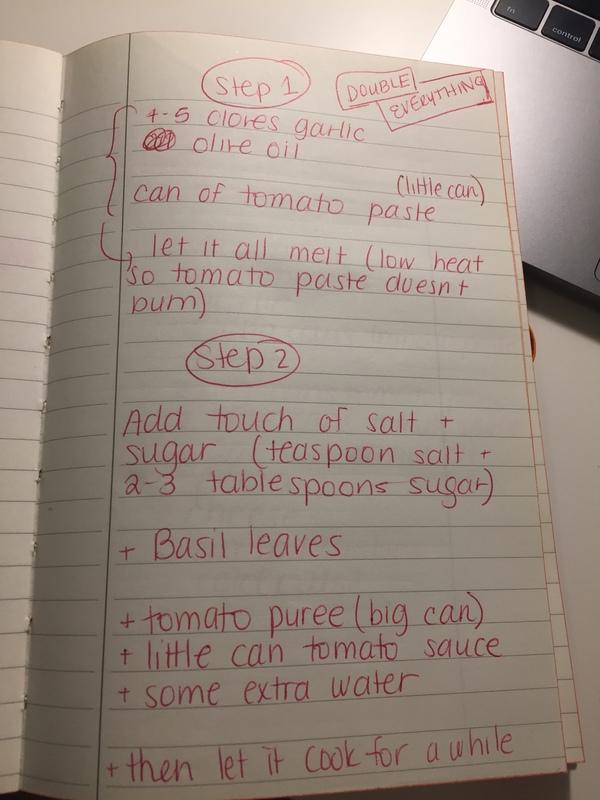 TBH I only really decided to dust off the old blog today because I wanted my mom’s tomato sauce recipe somewhere on the internet. But now that I’m actually on here, I’m realizing that I actually kind of miss this. So, expect another post from me kinda soon. That, my friends, is the recipe! 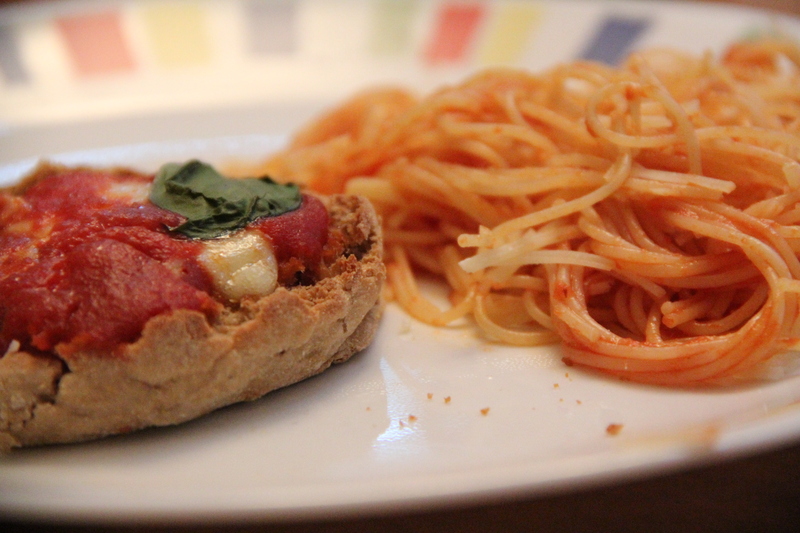 Not super exact, but I tried making it myself and it came out good, so I can vouch for it (though it didn’t come out as good as my mom’s). Happy MDW!